Merry Christmas from Ichthus Fellowship Ministry! bringing salvation to all people. 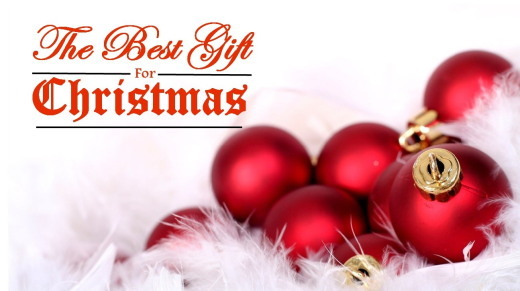 May you experience God's gift of grace this Christmas! 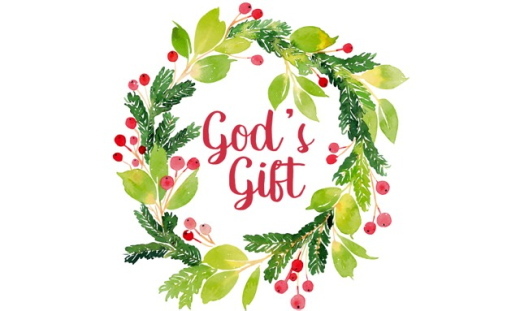 Behold, I bring you good news of a great joy, which will come to all the people; for unto you is born this day in the city of David, a Savior, who is Christ the Lord. Upon your walls, O Jerusalem, I have posted sentinels; all day and all night they shall never be silent. You who remind the LORD, take no rest, and give him no rest until he establishes Jerusalem and makes it renowned throughout the earth. 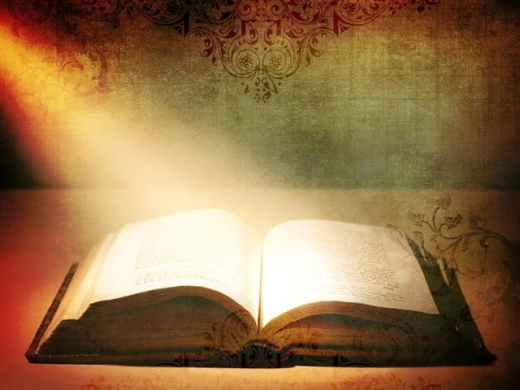 The LORD has sworn by his right hand and by his mighty arm: I will not again give your grain to be food for your enemies, and foreigners shall not drink the wine for which you have labored; but those who garner it shall eat it and praise the LORD, and those who gather it shall drink it in my holy courts. 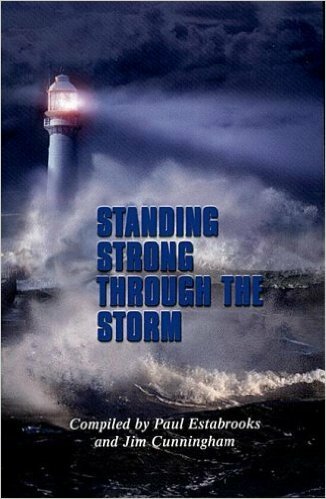 Go through, go through the gates, prepare the way for the people; build up, build up the highway, clear it of stones, lift up an ensign over the peoples. The LORD has proclaimed to the end of the earth: Say to daughter Zion, "See, your salvation comes; his reward is with him, and his recompense before him." They shall be called, "The Holy People, The Redeemed of the LORD" and you shall be called, "Sought Out, A City Not Forsaken." 7 Confounded be all who worship carved images and delight in false gods! he preserves the lives of his saints and delivers them from the hand of the wicked. In those days a decree went out from Emperor Augustus that all the world should be registered. This was the first registration and was taken while Quirinius was governor of Syria. All went to their own towns to be registered. Joseph also went from the town of Nazareth in Galilee to Judea, to the city of David called Bethlehem, because he was descended from the house and family of David. He went to be registered with Mary, to whom he was engaged and who was expecting a child. While they were there, the time came for her to deliver her child. And she gave birth to her firstborn son and wrapped him in bands of cloth, and laid him in a manger, because there was no place for them in the inn. In that region there were shepherds living in the fields, keeping watch over their flock by night. Then an angel of the Lord stood before them, and the glory of the Lord shone around them, and they were terrified. But the angel said to them, "Do not be afraid; for see-- I am bringing you good news of great joy for all the people: to you is born this day in the city of David a Savior, who is the Messiah, the Lord. This will be a sign for you: you will find a child wrapped in bands of cloth and lying in a manger." And suddenly there was with the angel a multitude of the heavenly host, praising God and saying, "Glory to God in the highest heaven, and on earth peace among those whom he favors!" When the angels had left them and gone into heaven, the shepherds said to one another, "Let us go now to Bethlehem and see this thing that has taken place, which the Lord has made known to us." So they went with haste and found Mary and Joseph, and the child lying in the manger. When they saw this, they made known what had been told them about this child; and all who heard it were amazed at what the shepherds told them. But Mary treasured all these words and pondered them in her heart. The shepherds returned, glorifying and praising God for all they had heard and seen, as it had been told them. "At Christmas Eternity Is Making A New Start"
At Christmas eternity is making a new start--strength to the weak, bread for us, God becomes human. Nobody was excluded from the crib. Like me, you were late in coming...Yet you came and were not turned away. You too found room before the manger. Jesus is the patron of all latecomers; let these ones not be forgotten before the throne of God. Outsiders and latecomers, Jesus has room for all. Ox and donkey, shepherds and magi. The incarnation means that in Christ God has become more accessible to us. In Christ God loves us with a human heart, and God’s power to save and heal is in human form. This is the meaning of Christmas: God bonded with us forever, love laid in the crib and later upon the Cross. The birth of God as man means that man is not his own master, and that he cannot construct his own destiny; he must continually come to grips with his own creaturliness, continually experience his own weakness, continually rising above challenges, entrusting oneself God. Let Christmas push you back into the human race. For through the incarnation, God embraced not only what is agreeable in the world, but also whatever is weak and imperfect in our lives. He has taken upon himself everything that is marked by sin, but there is no sin in him. Jesus came into a world ruled by the military might of the Roman Empire; he was born to a people who had been conquered and were being oppressed by their conquerors. Yet, at the time of Caesar Augustus, the empire enjoyed a facade of peace. However, the Peace announced by the angels by the birth of Jesus was a new and lasting true peace that was now available to all who seek it, “Glory to God in the highest and on earth peace to those on whom his favor rests." The continual need to allow Jesus to save us by his intervention into our lives. Will God come and save us from our materialism, from our grief, from our brokenness? From my loneliness? From our stress? From my addiction? My burden? Jesus shares our ups and downs of human existence, and he gives us a share in his divine life, brings brightness and hope into our hearts, and gives us confidence of our future. She gave birth to her firstborn. The word firstborn indicates that Mary had no children prior to Jesus; it does not imply that she had children after him. For example, there are ancient grave markers for Jewish women in that area who died during child birth which read, “In the pains of giving birth to a firstborn child, fate brought me to the end of my life.” So, firstborn is a religious legal title which simply means that the child has privileges as specified in Deut. 21:5 and the child must be consecrated to the Lord in Exodus 13:2 and Numbers 18:15. The fact that Mary had no other children after Jesus stems from her being a perpetual Virgin. However, we are called to be firstborn too. The Bible distinguishes between those who enter Heaven straightaway, calling them "the church of the firstborn" (Heb. 12:23), and those who enter after having undergone a purgation, calling them "the spirits of the just made perfect." (Heb. 12:23). This encourages us to keep on playing our part in the task of completing the Saviors work of bringing justice and salivation into the world. Like the shepherds and magi who had a journey to make known the truth. The ego gets what it wants with words. The soul finds what it needs in silence. Almighty God and Father of light, a child is born for us and a son is given to us. Your eternal Word streamed down from heaven in the silent watches of the night, and now your Church is filled with wonder at the nearness of her God. Open our hearts to receive his life and increase our vision with the rising of dawn, that our lives may be filled with his glory and his peace, who lives and reigns for ever and ever. 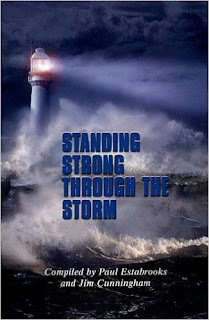 Isaiah 9:6 (NIV) For to us a child is born, to us a son is given, and the government will be on his shoulders. And he will be called Wonderful Counselor, Mighty God, Everlasting Father, Prince of Peace. As the crow flies, it was a journey of approximately 55 miles — but traveling over hills, through villages and around rivers would likely have made the trip even longer. Christmas pictures always show Mary riding a donkey but we really have no idea of their mode of travel. In any case, whether on foot or on the back of a swaying brown animal, it wasn’t an easy journey, especially for a women nearing the end of her pregnancy. Why did she go? True, government officialdom decreed a census and that everyone must go to one’s “own city,” the place their families called home, for this official registration and counting. Perhaps Mary was also quite ready to leave the village of Nazareth where tongues were wagging about her pregnancy and unmarried status. But Mary and Joseph knew they were going far from family and into a city whose streets would be clogged with traveling strangers. They were assured of no warm welcome, no cozy place to birth the expected child. Perhaps they hoped for a small house or a distant relative or a way for Joseph to earn money for their keep, but in almost every way, they were traveling into the unknown. The journey was long and hard, the destination uncertain. Nearly nine months before their arrival in Bethlehem, Mary spoke life-changing words to God, words that were to comfort her in the many uncertain years ahead. “I am the Lord’s servant. May it be to me as you have said.” With those simple words of faith, she could endure the long journey on the back of a donkey, the cold streets of Bethlehem, the staring faces of strangers, and even the crude stable with its straw-lined manger. Where is your Bethlehem? Has the path been long, the people uncaring, the circumstances burdensome? When we submit ourselves as servants to a loving God, we can—in quietness and confidence—add “May it be to me as you have said” no matter the place or position in which we find ourselves. El enemigo quiere hacerte sentir que estas solo, triste, que nadie se acuerda de ti y que no vales nada. Si miras a tu alrededor, a lo mejor si estás solito en un hospital, en una cárcel o en casa, pero no les des espacio a esos pensamientos que no vienen del Señor. Dios está tan cerca como tú lo quieras sentir. En su Palabra, lo dejó registrado en muchos versículos donde nos recuerda que nunca nos abandonará, que nos ha dejado la paz, que estará con nosotros hasta el fin del mundo. Solo tienes que levantar tu mirada al Creador y decirle cómo te sientes y que deseas que te perdone y bendiga tu vida. La presencia la sientes en alegría y en unas ganas enormes de seguir adelante. Recuerda que Dios cuida de ti y conoce tus necesidades. Aun así, debes confiar en Él. Cuando te invadan esos pensamientos de tristeza empieza a orar enseguida y declara: «Si Dios está conmigo, ¿quién contra mí?». Chinese evangelist, Brother Xi, was traveling one very cold Christmas Eve in the rugged province of Gansu. As he came to the next village he sensed something was wrong. He introduced himself as a bearer of good news. A small man interrupted, “Well we have only bad news here right now. A couple has just had their baby stolen.” In the poorer areas of China, where couples are restricted to one child, it is not uncommon to have child snatching, even stealing babies for wealthy childless couples in the cities. Suddenly the young husband spoke, “Shut up and go away. We have prayed to our gods and nothing has happened. Why should yours be any different?” He was grabbed from behind by the other villagers and propelled out of the village. “Don't you dare come here again!” they bawled. He wandered the hills in a daze of humiliation, tears, and crying to God. Then he thought l went to that village expecting a hero’s welcome, or at the very least, I relied on being a curiosity, quizzed and entertained by people who live very dull and isolated lives. Instead, I had only been treated a little like Christ was treated. Kneeling there in the snow, he knew what he had to do—go back to that village, knowing for sure he would be despised. This was to follow in the Master’s footsteps. With a pounding heart he turned and began to walk slowly back towards the village. Suddenly, across the still late afternoon air, he heard a baby’s cry coming from what appeared to be an old well shaft. Sure enough six feet down was a little baby, wrapped in a thick blanket, lying at the bottom of the dry-well. He climbed down to hug some warmth back into it. It was a baby girl. Those who snatched it did not know it was a girl, and finding later that it was, left it in this old well to die. RESPONSE: Today I will praise God that He is truly in control and can work out all situations for good. PRAYER: Thank God today for the coming of His Son to earth in humble yet powerful glory! On the night that divinity merged with fleshy humanity as Jesus came on the scene in a stable, things of earth were shaken and stirred with fresh glory and awesome wonder. 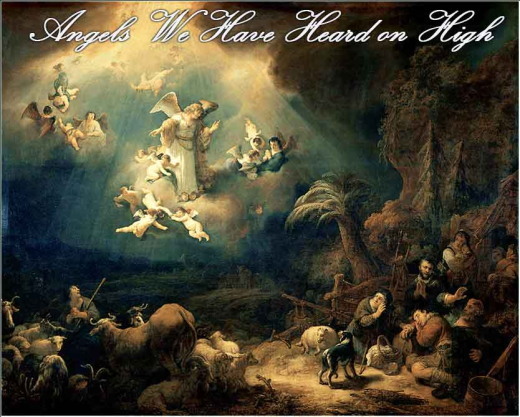 A host of heavenly angels appeared in the sky praising God and celebrating the arrival of the long awaited Messiah. They left their veiled existence to speak and sing to a few lowly shepherds in a field. To announce the good news of great joy that came as a gift from God in a cloth-clad baby-package named Jesus. The singing sky creatures pointed the shepherds to the swaddled Savior who was in a manger near by and urged them to go and check out the Christ child. And Mary? She took it all in. In celebration of the mangered-Messiah, heavenly hosts sang praises to God and lit up the sky with joy. Shepherds ran to see Jesus, glorified God, and amazed listeners by telling them about all they had seen and heard. A young new mama soaked in the wonder of it all and marinated on the majesty before her. When I consider the contrast between the first Christmas and today’s Christmas, I realize how far we’ve wandered. Instead of filling the sky with declarations of deity our airwaves are filled with grumblings over whether we should say Merry Christmas or Happy Holidays. We plow each other over with shopping carts and claw our way to the front of lines for the sake of a sale. We spend money that we don’t have and justify - even glorify - gluttonous intakes. What are we pondering? Where are we fixing our focus? That first Christmas was much more than merry. It was sacred… holy… filled with wonder and worship. That first Christmas was all about Jesus. More than having a merry Christmas, I’m stirred to have a meaningful Christmas that takes me back to the manger that led to the cross. One that mixes the merry with the meditative. One that pairs the fruit of the Spirit with the fruitcake. 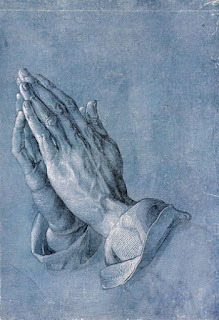 One that lingers with both lively praise and low-bending prayers. One that harks the herald and helps the hungry. Yes. I want us all to have a merry Christmas. But more than that I long for us to have a meaningful Christmas. Not one that is consumed with consuming or lost in senseless secondary conversations, but one that is fixed on adoration, celebration, consideration and awe. One that reflects on and gives thanks to God for sending Jesus to be our hope. One that is rich with depth and love and relationship. One that is filled with the fullness of His grace. So that’s the challenge. 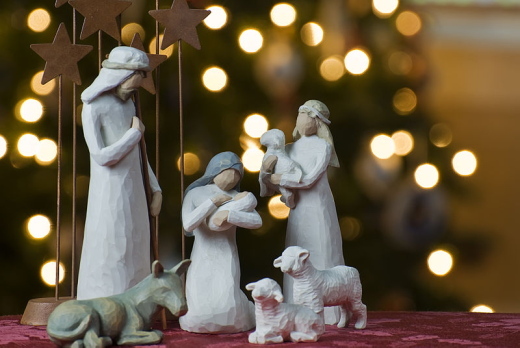 For us to lay aside nonsensical controversies, behaviors and distractions, and instead focus on celebrating a merry and meaningful, Messiah-focused Christmas. Holy Lord, All glory and honor and praise be to Your name! Thank You for invading the darkness of this world and my heart with Your light. Help me to live a life of meaningful, purposed, responsive worship during this Christmas season and every day. Pause for a moment of personal reflection. What’s one thing you can do today that will make this season more meaningful and purposed? Post your one-thing answer in the comments section of my blog and let’s discuss some fresh ideas as a community of sisters today. 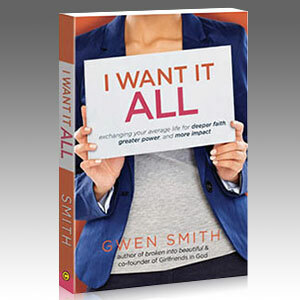 SPECIAL OFFER: If this message is where you are and you need more practical help moving beyond the common to the holy, Gwen is offering a 20% OFF discount on her latest book, I Want It ALL (that has a Bible Study guide right in the back!). Get thebook discounted from her site when you use the coupon code: 20OFF. Click here to get yours now. 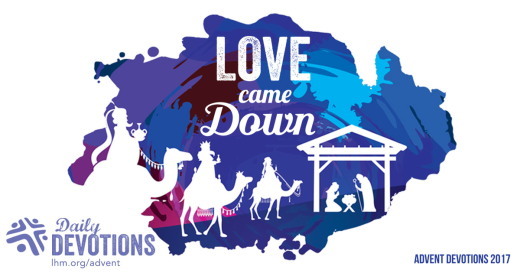 LHM Advent Devotion - December 25, 2017 "A PLACE FOR JESUS"
New parents spend pretty much every waking moment thinking about the place where the baby is. Is he safe? Who's holding him right now? Could he roll off that bed if I look away for a moment? Is the temperature too hot in this room? And who hasn't had the nightmare about accidentally leaving a baby at the grocery store! We want babies to be in a safe place-all babies, our own or someone else's. But Jesus had none of that. He didn't even have a room in the inn with the other travelers (who no doubt would have been disturbed by His wails). What He did have was an attentive mother who loved Him. She put Him in the manger to sleep-safely off the ground where He might take a chill or an animal might step on Him. No doubt she and Joseph spent the night as close as possible to that manger, guarding it with their bodies. That was Jesus' safe place. When Jesus grew to manhood, He returned the favor-not just for Mary and Joseph, but for the entire human race. The night before His death, Jesus said to those who followed Him, "Let not your hearts be troubled. Believe in God; believe also in Me. In My Father's house are many rooms. If it were not so, would I have told you that I go to prepare a place for you? And if I go and prepare a place for you, I will come again and will take you to Myself, that where I am you may be also" (John 14:1-3). Jesus is our safe place. He is the One who laid down His life for us and took it up again, that He might be our Savior and our Refuge forever. He will never let go of us or forsake us, and He promises that everyone who believes in Him will be with Him forever.That being the case, isn't this a great time to make room for Jesus in your own heart? THE PRAYER: Dear Lord, stay with me and never leave me. Keep me always with You, now and in eternity. Amen. 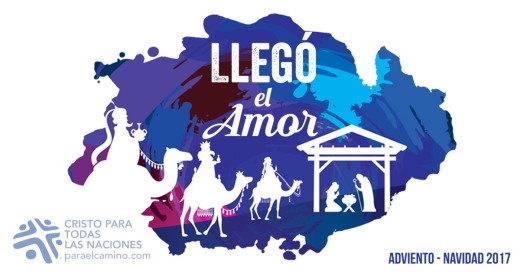 Devociones de Adviento de 25 de Diciembre de 2017 "Un lugar para Jesús"
Y allí tuvo a su hijo primogénito; y lo envolvió en pañales, y lo acostó en un pesebre, porque no había lugar para ellos en ese albergue. Los padres primerizos vigilan constantemente a su bebé. ¿Estará cómodo? ¿Con quién está? ¡Se caerá de la cama si dejo de mirarlo por un momento? ¿Tendrá calor? ¿Tendrá frío? ¡Y quién no ha soñado con que se lo olvidaba en el supermercado! Hacemos lo imposible para que los bebés estén seguros-los nuestros y los de los demás. Pero con Jesús fue distinto: él ni siquiera tuvo una habitación en el hostal, junto a los otros viajeros (quienes sin duda se habrían molestado con su llanto). Lo que sí tuvo, fue una madre que lo amaba. Ella lo puso a dormir en el pesebre, lejos del piso para que no tuviera frío y para evitar que un animal lo pisara. Sin dudas, tanto ella como José pasaron la noche lo más cerca posible del pesebre, protegiéndolo con sus cuerpos. Ese era el lugar seguro de Jesús. Cuando Jesús se hizo hombre devolvió ese favor, pero no sólo a María y José, sino a toda la raza humana. La noche antes de su muerte, Jesús dijo a sus seguidores: "No se turbe su corazón. Ustedes creen en Dios; crean también en mí. En la casa de mi Padre hay muchos aposentos. Si así no fuera, ya les hubiera dicho. Así que voy a preparar lugar para ustedes. Y si me voy y les preparo lugar, vendré otra vez, y los llevaré conmigo, para que donde yo esté, también ustedes estén" (Juan 14:1-3). Jesús es nuestro lugar seguro. Él dio su vida por nosotros y luego volvió a vivir para ser nuestro salvador y nuestro refugio eterno. Él nunca nos abandonará ni desamparará, y nos promete que todo aquél que cree en él vivirá con él para siempre. Entonces, ¿no es este el momento ideal para hacer lugar a Jesús en nuestro corazón? ORACIÓN: Querido Señor, reina en mi corazón ahora y por la eternidad. Amén.